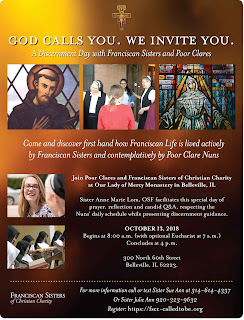 Franciscan Sisters of Christian Charity and the Poor Clares of Belleville, IL collaborate for an October Franciscan Discernment Day at the monastery visiting parlor at 300 North 60th Street, Belleville, IL 62223. 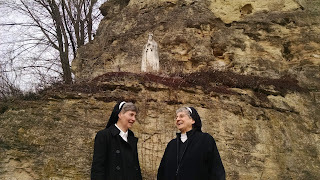 Sister Anne Marie Lom facilitates this retreat respecting the monastic daily schedule and liturgy of the hours while presenting discernment helps. Begins at 8:00 a.m. (with optional Eucharist at 7 a.m.) Day concludes at 4 p.m.. Call or text Sister Julie Ann 920-323-9632 for more information. Click here to register. 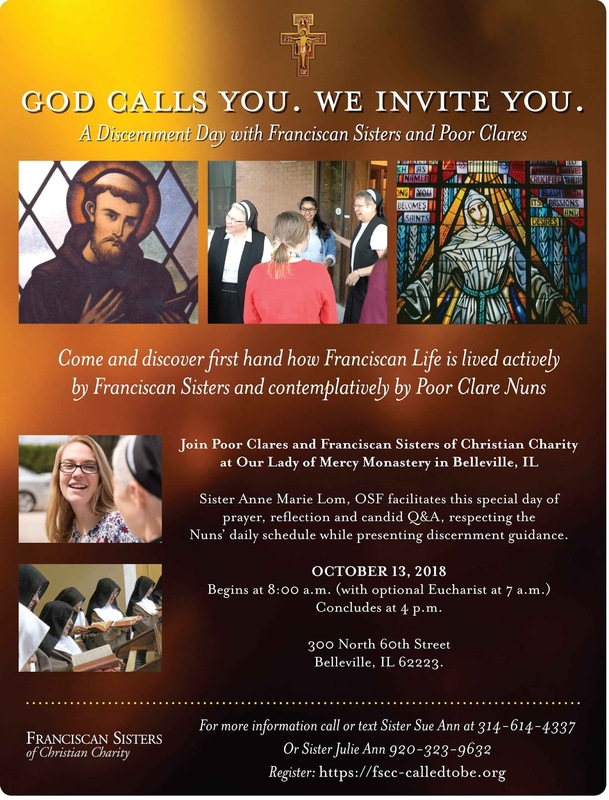 Franciscan Sisters of Christian Charity invite Catholic young adult women to consider these summer discernment opportunities. 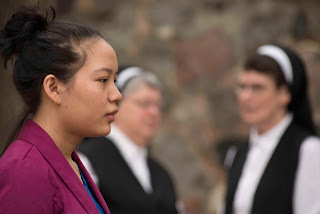 Find a variety of options including a discernment of spirits retreat, silent prayer moments with our Sisters who are on retreat, presentations on Saint Bonaventure, a historical pilgrimage or suggest a visit when the timing works for you. We really look forward to getting to know you! Franciscan Sister Jacqueline Spaniola facilitates a June 29-July 1, 2018 weekend based on Ignatian Principles of discernment. Begins Friday at 5:30 p.m. with the evening meal and concludes after Sunday dinner at 12:30 p.m.. Call or text Sister Julie Ann at 920-323-9632. Register here.